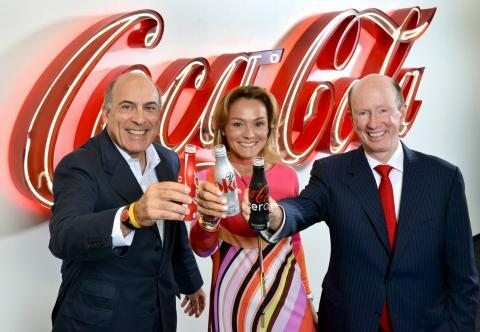 Coca-Cola Enterprises, Coca-Cola Iberian Partners and Coca-Cola Erfrischungsgetränke will combine their businesses into new company Coca-Cola European Partners Plc. This will potentially create the world’s largest independent Coca-Cola bottler based on net revenues. With more than 50 bottling plants and approximately 27,000 associates, Coca-Cola European Partners will serve a consumer population of more than 300 million in 13 countries across Western Europe, including Andorra, Belgium, France, Germany, Great Britain, Iceland, Luxembourg, Monaco, Norway, Portugal, Spain, Sweden and the Netherlands. The combined company will operate in the four largest markets for non-alcoholic ready-to-drink beverages in Western Europe – Germany, Spain, Great Britain and France. The company will leverage and build on the best practices from each respective market and bottler to improve service to customers and consumers through a more consistent strategy for product development and market execution across Western Europe. The increased scale and flexibility of Coca-Cola European Partners’ broader European geographic footprint will allow it to compete more effectively across nonalcoholic beverage categories. Coca-Cola European Partners is expected to generate substantial synergies, including supply chain benefits and operating efficiencies. These synergies are expected to result in realized annual run-rate pre-tax savings of approximately US$350-375 million within three years of closing.